Please complete the form below and a member of our team will contact you with customized rental opportunities for you. 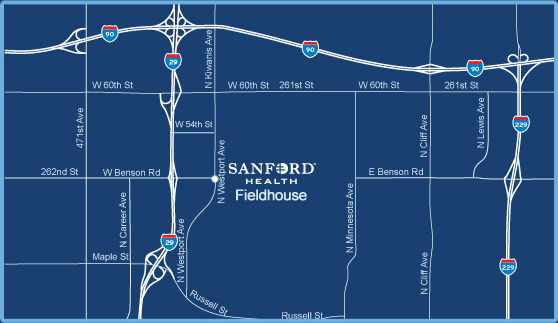 The Sanford FIELDHOUSE is easy to find a ½ mile east of Interstate 29 and Benson Road. Contact us today to learn more about the Sanford FIELDHOUSE – your ultimate facility for indoor activity and performance training! Monday - Friday: 5:30 a.m. to 9 p.m.